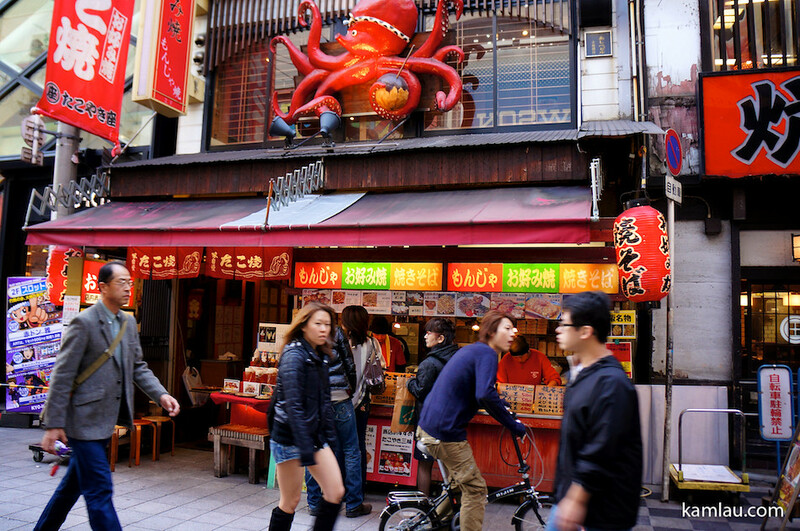 During our visit in Osaka, we saw stores after stores of takoyaki (たこ焼き) stands. 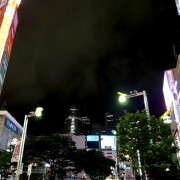 There are so many people who like takoyaki that there are always line ups for takoyaki. 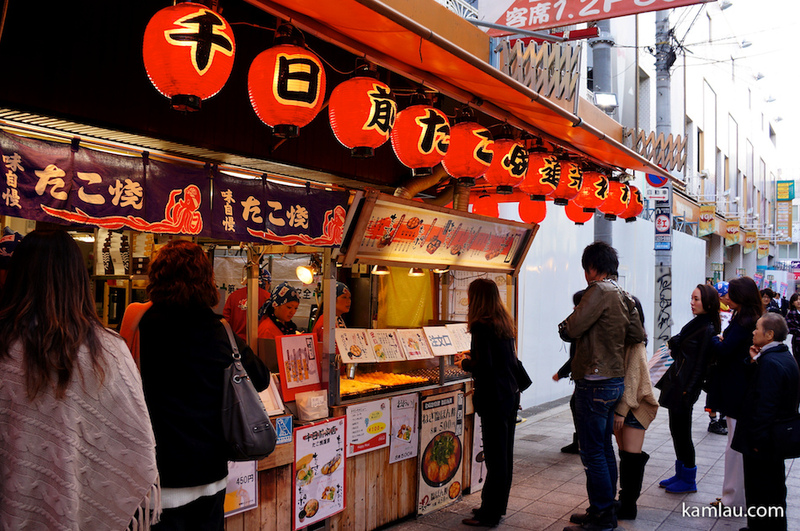 We wonder if there is a way we can open our own takoyaki stand as well. 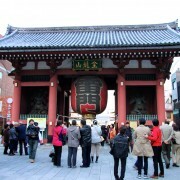 Of course, you have to rent a spot at the right location with good traffic, but that is not difficult in a populated city like Osaka. Or sell something that is shockingly good! 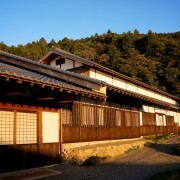 If you are interested in opening your own takoyaki store where you live, you are in luck. 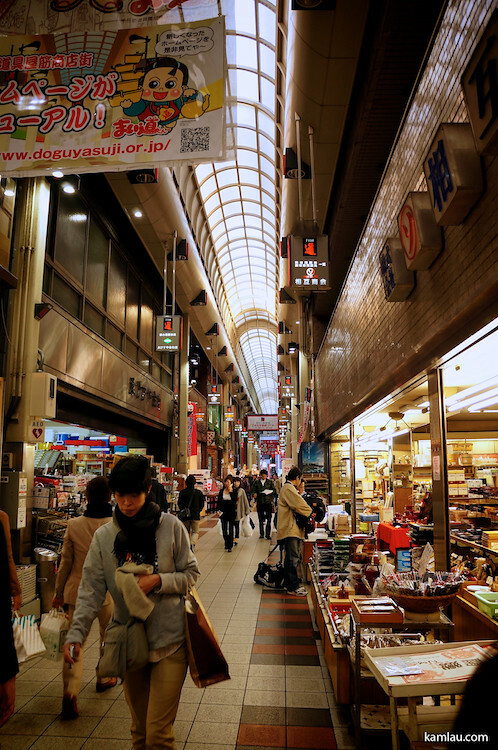 There are actually supply stores here in Dōtonbori that will sell you everything you need to open a store of your own. All you need to do is gather some capital to buy your supplies here, find the right spot and hire some attractive helpers and you are set! 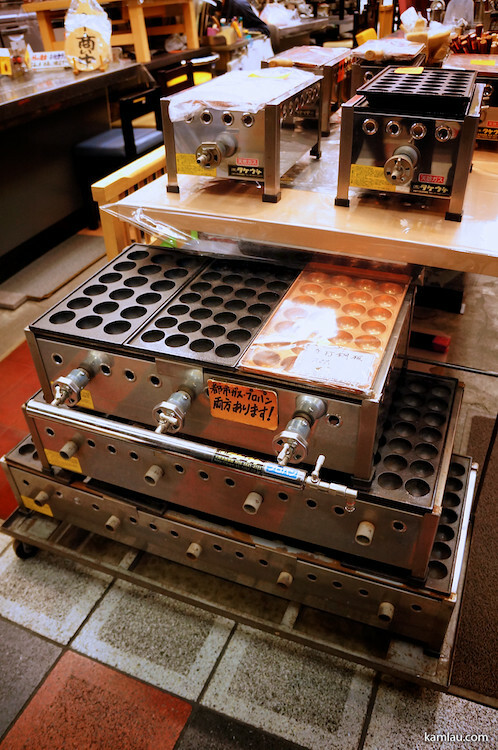 Depending on the size of your business, there are different sizes of takoyaki makers that will fit your business needs. 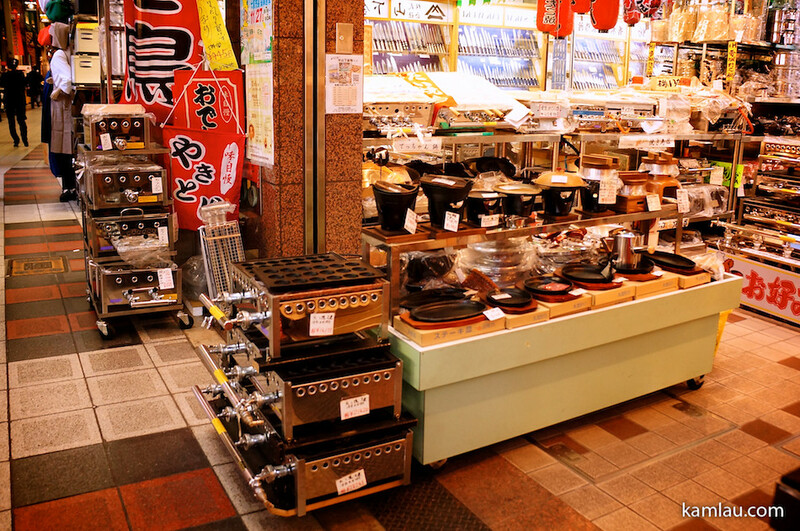 3, 4, 5 burner takoyaki makers are available for you to choose from. 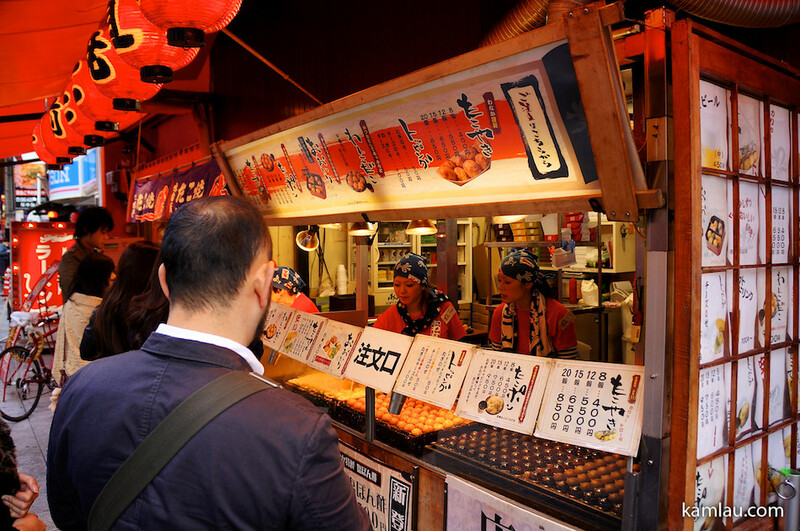 Each burner can make 28 takoyaki balls at once. 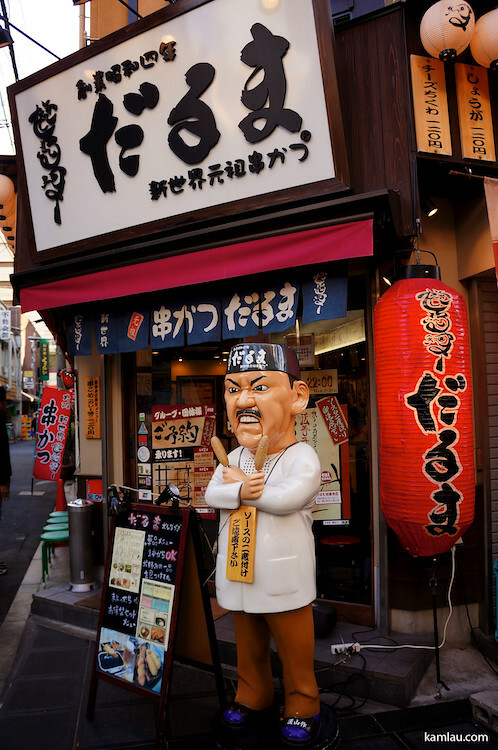 Can you handle making 140 takoyaki balls? 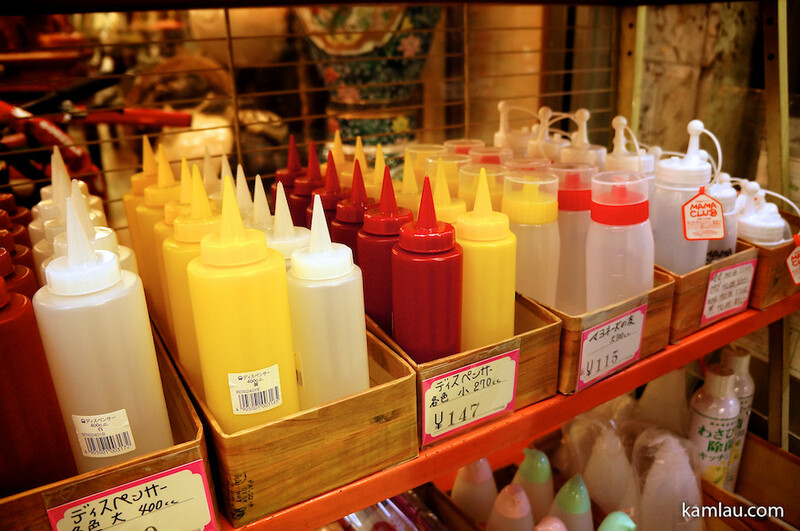 Not only will you find takoyaki makers, you will also find a big variety of sauce containers. Each with different nozzle to help you apply the right amount of sauce quickly and accurately. 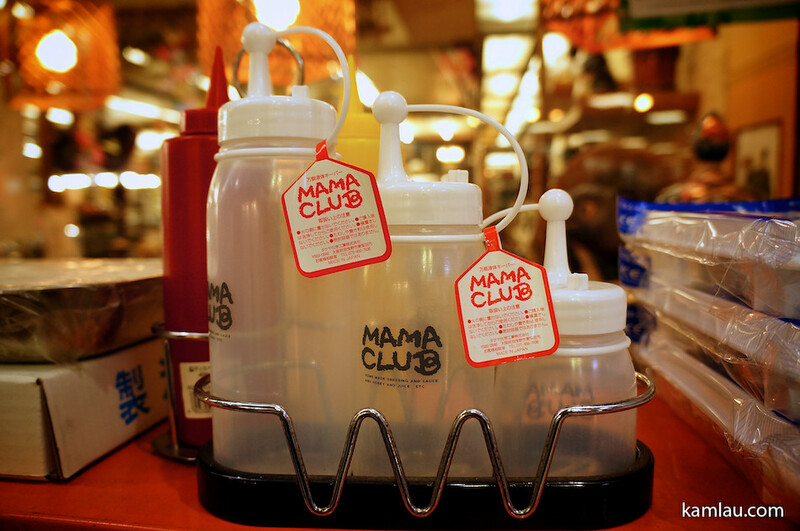 And if you will have seatings at your store, you can also get fancier bottles for your customers. 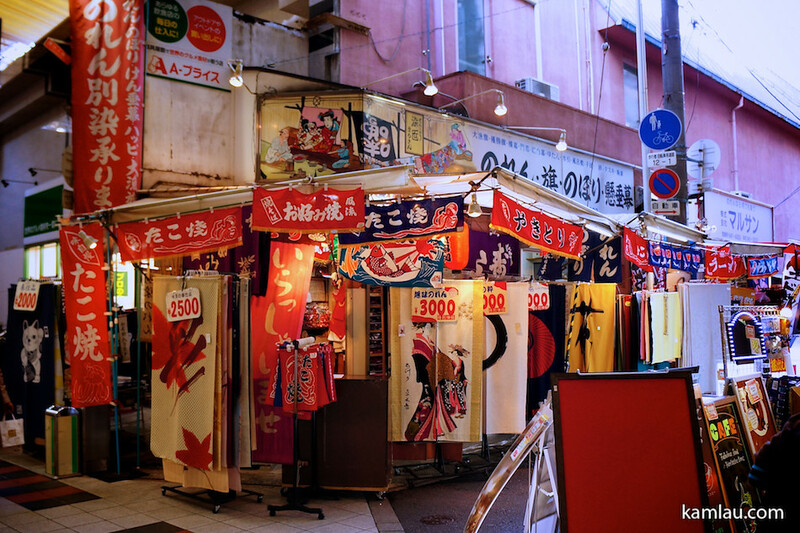 If you are going to have a takoyaki store, you should have some decorations. 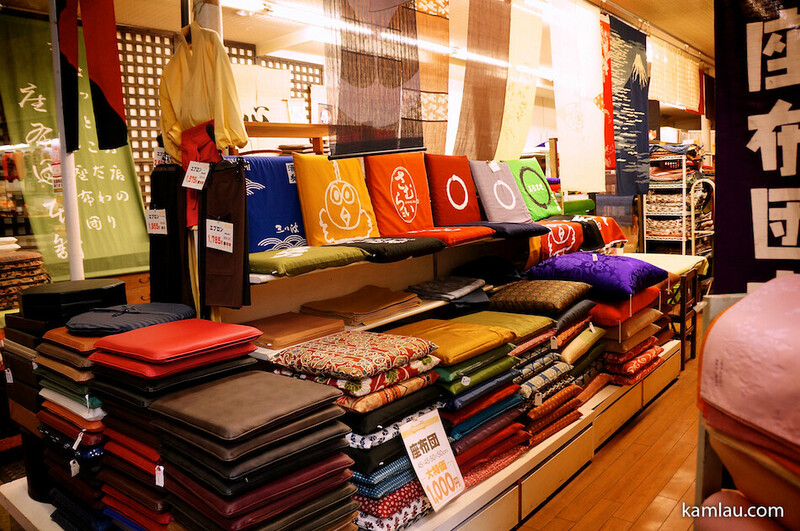 You can get noren (のれん) with different designs to suit your store. 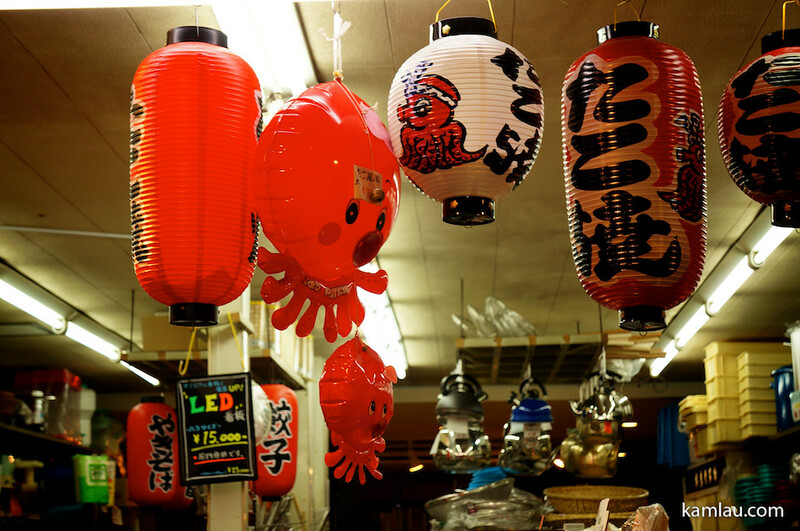 How about some festive decorations like lanterns and blow-up takos!? 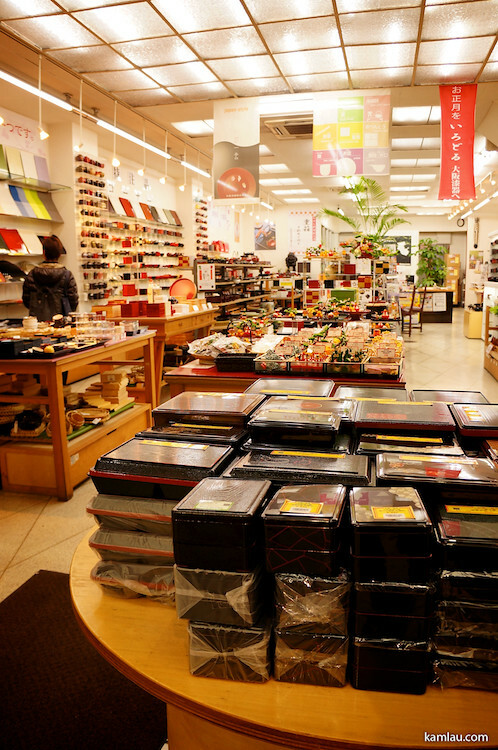 You can also get bento boxes if you are selling Japanese meals. 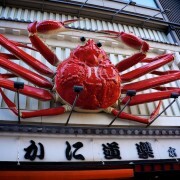 Now I know where our local Japanese restaurants source their supplies! And fancy chopsticks to go with the bentos! These are quite expensive and you probably won’t get these for your stores. 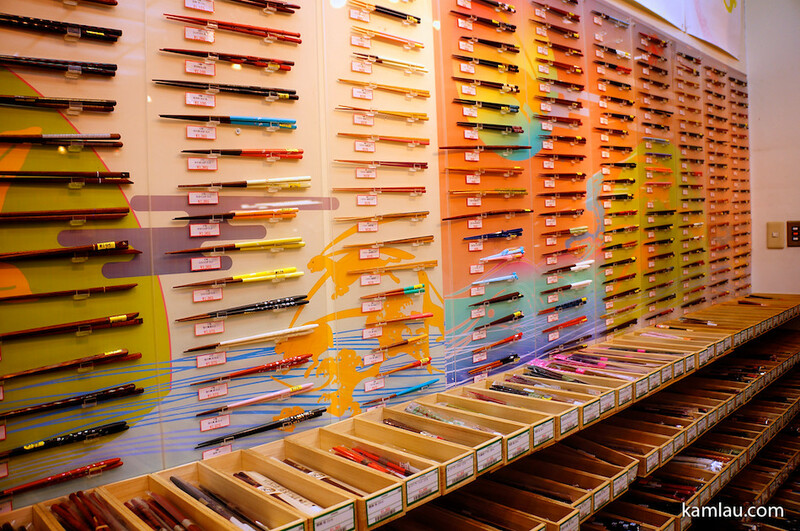 But these chopsticks store also sell regular chopsticks in bulk quantity. 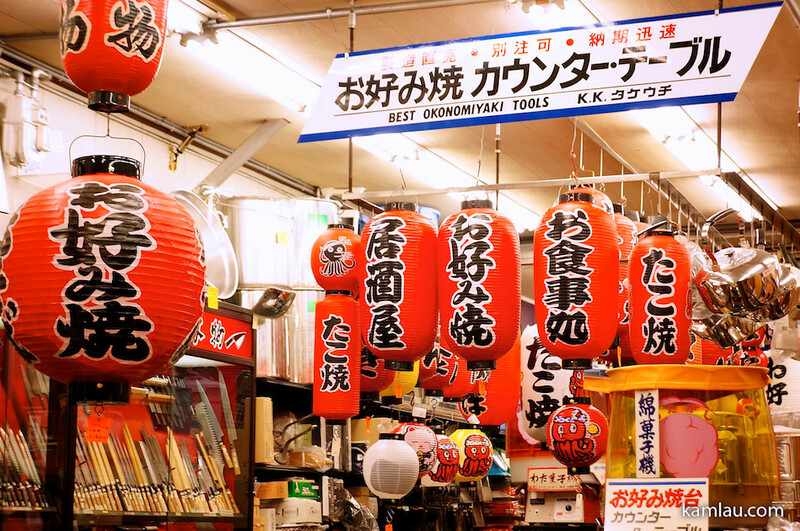 If you are ready, come to Osaka Dōtonbori area, there is a whole street specializes in takoyaki and okonomiyaki restaurant supplies. You have to see it to believe how many choices they have here. 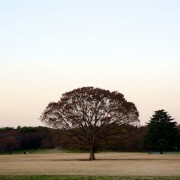 http://kamlau.com/wp-content/uploads/2011/12/6508719879_b3cbd0083e_b.jpg 631 950 Kam http://kamlau.com/wp-content/uploads/2016/03/KL-1.png Kam2011-12-14 09:00:102016-03-08 03:27:31How to open your takoyaki store?